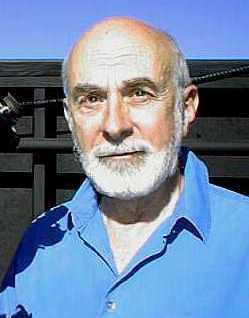 Donald E. Scott's book, The Electric Sky (2006), broke new ground for Electric Universe theory, explaining the flow of plasmas in the solar system without resort to magnetic field "reconnection" found in conventional literature. More recently, he proposed that the stability of the sun or any star arises from a controlled feedback in the corona similar to the operation of an electronic transistor. His ideas merit attention, because they are quantifiable, testible, consistent with known data, and have the power to explain many more features of our solar system than conventional nuclear core theories. Scott earned his Bachelor's and Master's degrees in Electrical Engineering at the University of Connecticut in Storrs, CT. Following graduation he worked for General Electric in Schenectady, NY, and Pittsfield, MA. He earned a Doctorate in Electrical Engineering at the Worcester Polytechnic Institute, Worcester, Massachusetts, and was a member of the faculty of the Department of Electrical & Computer Engineering at the University of Massachusetts/Amherst from 1959 until his retirement in 1998. During that time he was the recipient of several good-teaching awards. He was, at various times, Assistant Department Head, Director of the undergraduate program, Graduate admissions coordinator, and Director of the College of Engineering's Video Instructional Program. In 1987, the McGraw-Hill Book Company published his 730-page textbook, An Introduction To Circuit Analysis ? A Systems Approach. He has authored numerous scientific papers and chapters including Real Properties of Electromagnetic Fields and Plasmas in the Cosmos, published in the Special Issue of the IEEE Transactions on Plasma Science 8/2007. He is a lifelong amateur astronomer. Some of the author's images of astronomical objects.